We have all met some who it seems it’s their life’s mission to argue, or perhaps what motivates such a person is what scripture tells us what happens when one is born of the spirit verses those who remain serving the flesh. 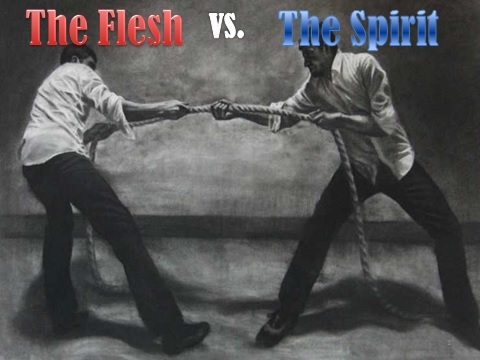 The flesh fights for their views even when outside the realm of what is the truth of Christ, while the one who is born of the spirit is persecuted and must fight the good fight of faith they are called to(Galatians 4:22-23,28-31). For it is written, that Abraham had two sons, the one by a bondmaid, the other by a freewoman. But he who was of the bondwoman was born after the flesh; but he of the freewoman was by promise. Now we, brethren, as Isaac was, are the children of promise. But as then he that was born after the flesh persecuted him that was born after the Spirit, even so it is now. Nevertheless what saith the scripture? Cast out the bondwoman and her son: for the son of the bondwoman shall not be heir with the son of the freewoman. So then, brethren, we are not children of the bondwoman, but of the free.